The Kovalchick Convention and Athletic Complex (KCAC), is located on the campus of Indiana University of Pennsylvania (IUP) along Wayne Avenue. The facility is a 148,500 square-feet complex and offers multi-use adaptable spaces including the 5,000 seat Ed Fry Arena, 630 seat Toretti Auditorium, the 17,000 square-foot state of the art Conference Center with multiple breakout rooms, and the 6,000 square foot Corporate Training and Executive Conference Center. Included in the Conference Center is a fully equipped E-Conference Room with videoconferencing as well as teleconferencing capabilities. 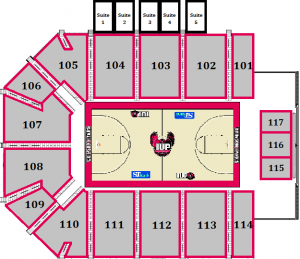 The Ed Fry Arena is home to the NCAA Divison II Men’s and Women’s IUP Basketball teams and the IUP Women’s Volleyball Team. The Complex has hosted national touring events like the Beach Boys, WWE, The Harlem Globetrotters, Rodney Carrington, Sesame Street Live, is an ideal venue for sporting events, conferences, conventions, trade shows, corporate seminars and large banquets and much more. Groundbreaking ceremonies for the Kovalchick Complex took place November 13, 2008, and included an announcement of a challenge grant for $1 million for the facility from Indiana University of Pennsylvania graduate Chad Hurley, co-founder of YouTube, in honor of Indiana University of Pennsylvania music professor and track and field coach Ed Fry. In honor of Hurley’s gift; the Arena was named after Fry. The complex is named in honor of the Kovalchick Family, of Indiana, PA, who donated $2 million for the facility’s construction. 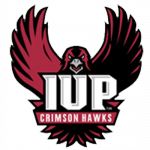 While owned by Indiana University of Pennsylvania (IUP), IUP selected Pinnacle Venue Services as the facility management and marketing firm for the Kovalchick Complex. Pinnacle Venue Services (www.pinnaclevs.us), founded in November 2014 is a full-service venue management company that specializes in event programming, venue assessments, and security and emergency preparedness. 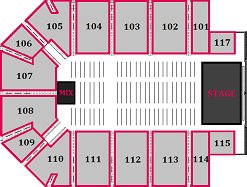 Per day arena rental rates are available upon request. All rental rates are negotiable and dependent upon contract terms. Please call (724) 357-5222 to set up a meeting to discuss rental rates. 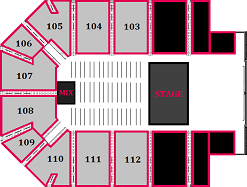 A deposit is required in order to secure a date at the Ed Fry Arena. This amount, agreed upon in the Lease Agreement, is due upon full execution of the venue Lease Agreement or whenever another potential user challenges a date. In case of multiple events, the Kovalchick Complex will hold the deposit as a floating deposit unless those dates are challenged, in which case the promoter must provide the additional deposit for each challenged date. 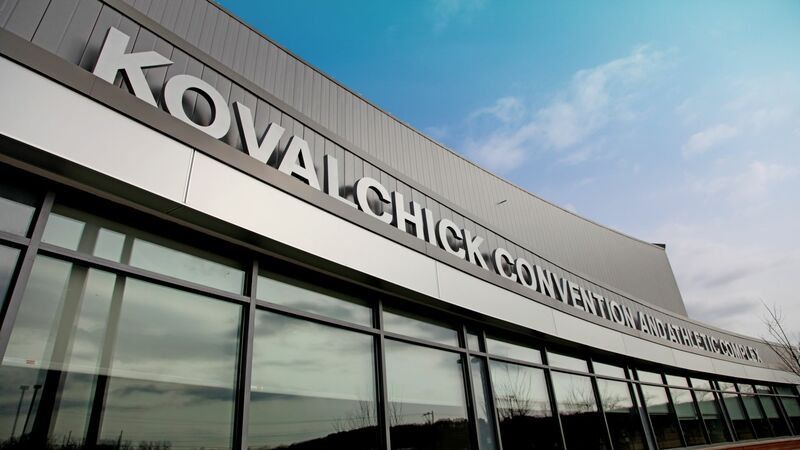 Kovalchick Complex Management reserves the right to require an additional sum in advance of the event as a damage deposit, which is refundable after the event is settled and when a post event walk-through of the facility is completed. Venue management further reserves the right to require a deposit to cover all estimated expenses, including but not limited to: rent, all associated box office fees, arena set up and break down, production requirements, staffing, advertising, electrical services and miscellaneous equipment. The Kovalchick Convention and Athletic Complex can provide a full range of event related equipment and personnel including ticket takers, ushers, security staff, stagehands, housekeeping, operations and technical support. Rental rates for equipment, if applicable, are dependent upon the terms of the venue Lease Agreement. © Kovalchick Convention and Athletic Complex, Indiana PA. All Rights Reserved.